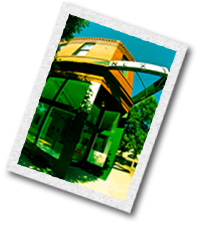 EDGE is a contemporary, non-profit, co-op art gallery dedicated to artists outside the domain of commercial art venues. Because we are not dependant on sales for our survival, we have the freedom to pursue more experimental modes of expression. Our primary objectives are to celebrate individuality and uniqueness, to encourage our shared vision, and to maintain our intensity and integrity in addressing the often contradictory messages occurring in contemporary art. Over 25 years ago, Pirate: contemporary art opened in Denver, Colorado as an audacious and eclectic alternative, cooperative gallery. Today, little has changed - although our space has gotten slightly smaller and our front door relocated about 50 feet south of the corner. Many member artists have come and gone, but Pirate persists. It's an institution that remains flexible and edgy. 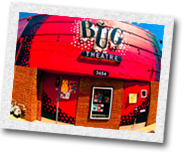 The Bug Performance and Media Arts Center is a non-profit 501 (c)(3) organization that seeks to foster a supportive community of artists in Denver by providing the opportunity for the development of unique voices, a diverse audience, and dynamic programming. We believe in the spirit of artistry as the driving force behind every production, in the integrity of the creative individual, and in the power of shared artistic experience. 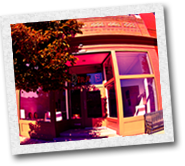 The Clear Creek Academy of Jewelry and Metal Arts is dedicated to teaching people of all ages how to make fine jewelry. Join us to stretch your imagination and explore your ability to achieve designs that you create. Our programs are designed to teach you the necessary fundamentals of all silver and goldsmithing. Zip 37 is one of the oldest artist-run galleries in Denver. Join us any weekend for fabulous solo shows in the front room and a funky, eclectic mix of affordable artworks in the back room. With a history that spans more than 80 years, Patsy's Italian Restaurant is Denver's oldest Italian restaurant. 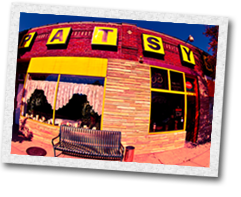 Founded in 1921 by the Aiello family, Patsy's has undergone a few changes over the years but the heart and soul of tradition have remained the same. Although NEXT is one of the newest co-op galleries in Denver, it certainly is not green. NEXT is comprised of seasoned, well-established artists, as well as the next "up & comers" of the art community. Our goal is to create a community that fosters an investigation of art practices on all levels, from concept to material practices, traditional to avant-garde. NEXT aims to function similar to a co-op, and act as an artists gallery.